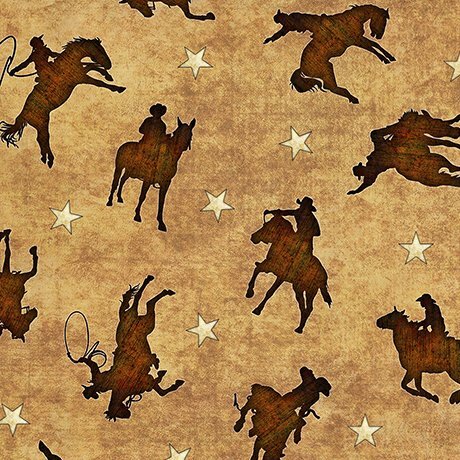 Mottled tan with crean stars and brown cowboys and broncs with riders. From the Mustang Sunset collection by Dan Morris for Quilting Treasures. 100% cotton. 44"-45" wide.